With an area of 16 hectares, Roma Street Parkland makes up the world's largest urban subtropical garden. This scenic park has a number of beautiful gardens and open spaces which can be used for celebration. The park has an open air amphitheatre which was previously known as the Albert Park Amphitheatre. 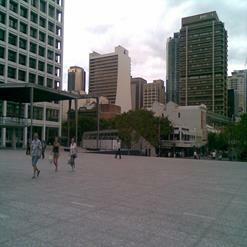 It hosts the plays by Queensland Shakespeare Ensemble, Queensland Theatre Company and also by other theatre groups.